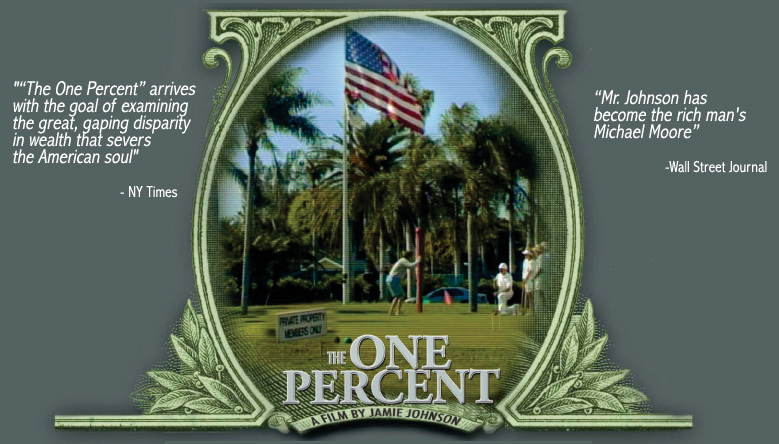 Jamie Johnson, a 27-year-old heir to the Johnson & Johnson pharmaceutical fortune is the author of this 80-minute documentary focusing on the growing "wealth gap" in America, as seen through the eyes of the filmmaker . Jamie Johnson, a 27-year-old heir to the Johnson & Johnson pharmaceutical fortune is the author of this 80-minute documentary focusing on the growing “wealth gap” in America, as seen through the eyes of the filmmaker . Johnson, who cut his film teeth at NYU and made the Emmy®-nominated 2003 HBO documentary Born Rich, here sets his sights on exploring the political, moral and emotional rationale that enables a tiny percentage of Americans – the one percent – to control nearly half the wealth of the entire United States. The film Includes interviews with Nicole Buffett, Bill Gates Sr., Adnan Khashoggi, Milton Friedman, Robert Reich, Ralph Nader and other luminaries.